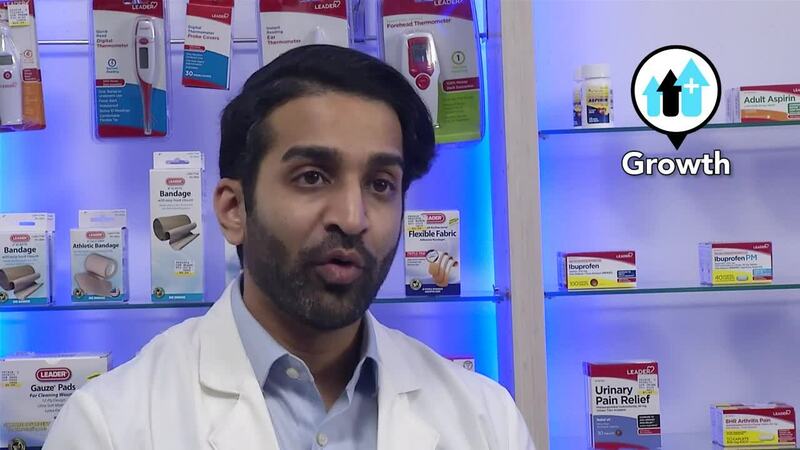 AUM’s “can-do” attitude is helpful to the pharmacy’s customers, many of whom are low-income seniors who take more medications than the average person. Patolia knew they could benefit from adherence packaging. He started an adherence program nearly 8 years ago, first with blister cards, and then moved up to a competitor’s strip packaging system, but struggled to make his adherence program work. Then he heard about RapidPakRx™. Patolia is no stranger to automation (in addition to his first strip packaging system, he owns an RxSafe 1800 as well as an Eyecon pill counter), but he was still skeptical the RapidPakRx could help him grow his adherence program. One benefit that Patolia found compelling is that RapidPakRx runs 20 “smart” bulk-loaded universal cartridges, which can dispense any oral solid medication such as gel caps, half tabs, capsules, tablets, new generics, supplements, vitamins — even OTC medications, etc. — without calibration. Patolia also said the RapidPakRx’s built-in machine vision inspection has cut pharmacist inspection time by 90 percent or more. In the past, Nilesh and other pharmacists at AUM were inspecting completed pouches by hand. The time savings don’t stop there, however. Patolia says the RapidPakRx also is freeing up time for his pharmacy technicians. Patolia says his patients love the new adherence packaging product, and he has big plans to grow the business with new adherence patients. Patolia has also noticed an increase in patient retention and adherence, adding up to improved revenue at AUM. Want to see if RapidPakRx is a fit for your pharmacy? Be sure to visit us at the T.H.E. Conference, for a live demo. The conference will take place March 28-30 in St. Louis, MO. For more information, visit our strip packaging product page, or call (877) 797-2332 now to speak with an automation expert.